The messages presented to us as we move through public spaces have traditionally conformed to certain semiotic norms and clearly demarcated spaces. 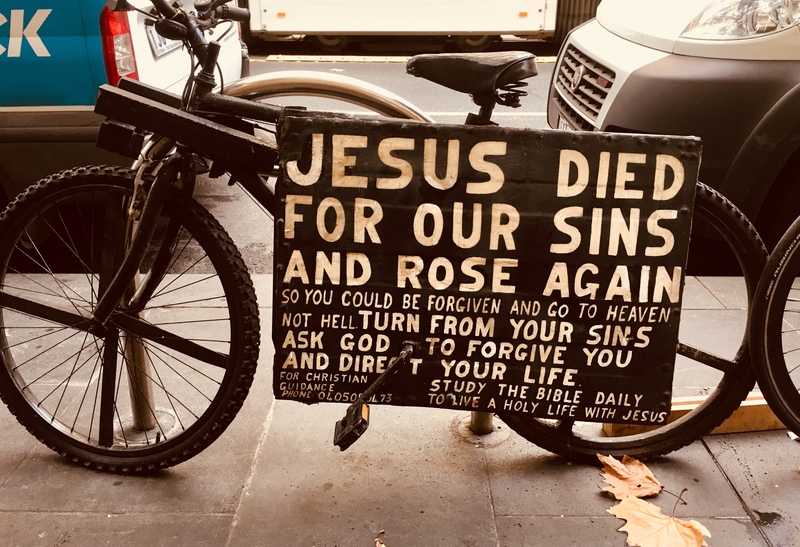 A revolving tram shelter ad from a travel agent tells me I need a holiday on a tropical beach; a glowing sign suspended above a shop window claims I won’t find better dumplings; spray-painted nicknames and slogans jostle for space on a laneway wall. These are just a few of the many messages we’re exposed to every day. The difference I want to focus on is that first two examples are messages in public space that are paid for by organisations offering a service or product. The third is graffiti, an unsanctioned act of self expression made on private property. 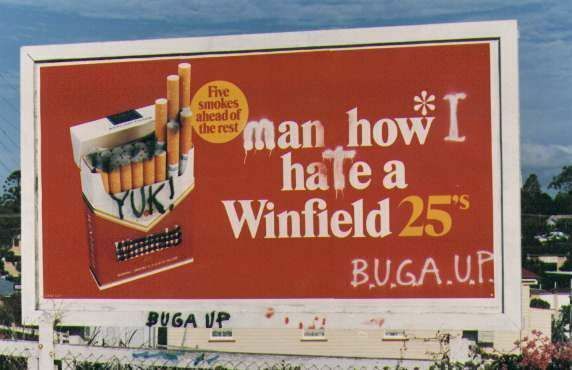 Although graffiti is judged by many as an act of vandalism, the gap between it and its distant corporate cousin, advertising, has narrowed in recent years. Advertisers who seek to enter our consciousness laterally through the back door, often flirt with concepts that underlie graffiti – provocation, irreverence, anti-establishment, situationalism. 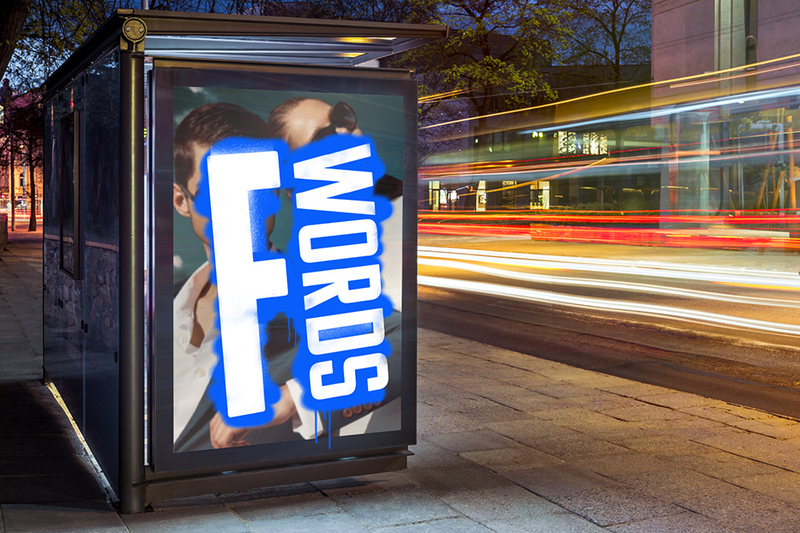 Developments in printing and screen technology now allow commercial messages to appear on many more surfaces and locations in public spaces, which raises questions about their ownership and democratic use. Just as advertisers have a greater choice of rental spaces to tout their message, individuals and activist groups have sprung up to subvert them in the name of making public spaces more democratic. 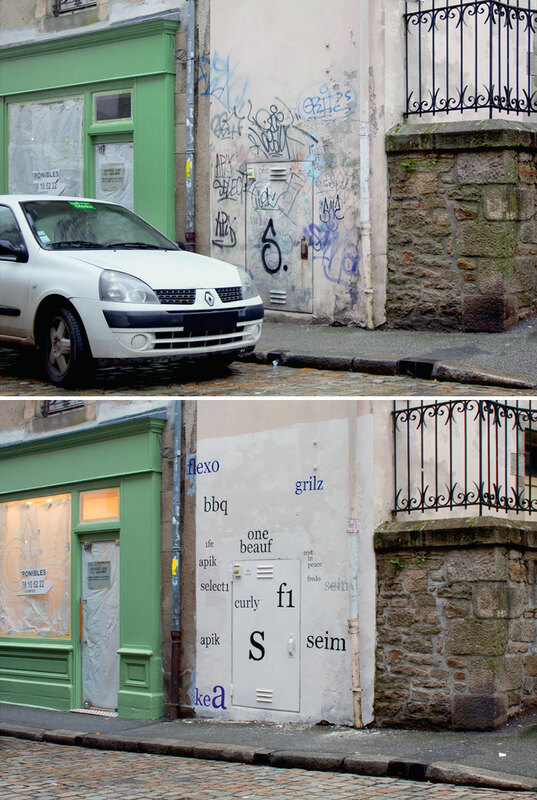 Rather than using spray cans and stencils ‘subvertisers’ often use the advertiser’s tools against them to challenge what they see as ‘corporate graffiti’. 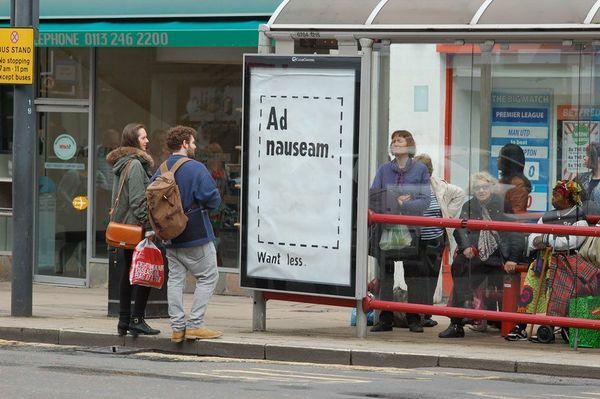 Subvertiser tactics are based on a long tradition of altering the meaning of commercial messages but these days the means are more sophisticated. 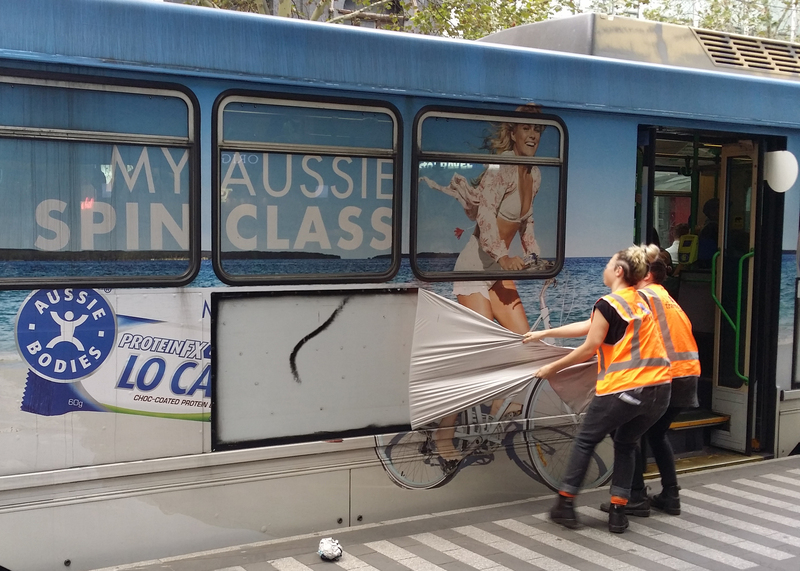 ‘It’s complicated and depends on the specific issue, but in general the law would define the actions of organisations such as TramClean as vandalism. Although trams in Melbourne are ‘public’ transport they are operated by private companies under licence and that licence includes the ability to use the infrastructure to earn income from advertising. This income does help keep the cost of the transport down so if you don’t want the advertising you should exercise your legal democratic rights and lobby for removing it and increasing the fares for consumers to cover the difference. ‘I’m all for creative execution, whether it’s part of a communication campaign, activists cleverly altering advertising or beautiful street art. There will always be people reacting against the proliferation of advertising in society and creative agencies pushing the limits to create new mediums to expose their client’s message. When perceived cleverness actually breaches the law it’s a real problem and this can be said for both sides. ‘We are exposed to advertising almost everywhere we go that we don’t often think about the impact that it’s having on our behaviours and decision-making. So while I don’t agree with subvertertisers breaking the law, I think it’s an interesting reminder that we aren’t in complete control of our attitudes and decision-making when it comes to the products and services we buy.